Lately, robots have been making a pretty big footprint in the food industry from making pizza to even serving coffee. One company is looking to use robots to help make bread. 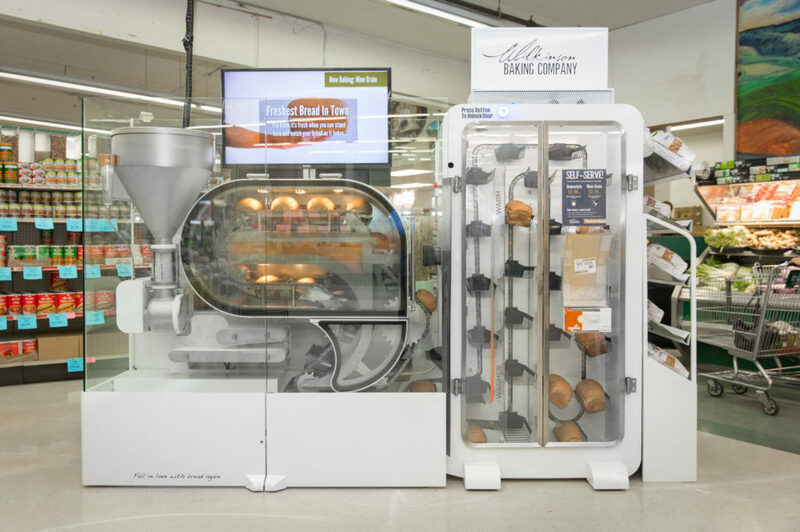 Walla Walla, Washington based company Wilkinson Baking Company has recently unleashed the BreadBot. As the name suggests, it’s a robot that makes bread. The bot which stands about 4 feet high and 10 feet wide, can handle the whole bread making process completely on its own. The BreadBot goes from mixing the raw ingredients to kneading the dough to baking the bread. The whole process is completely automated and takes only 90 minutes. 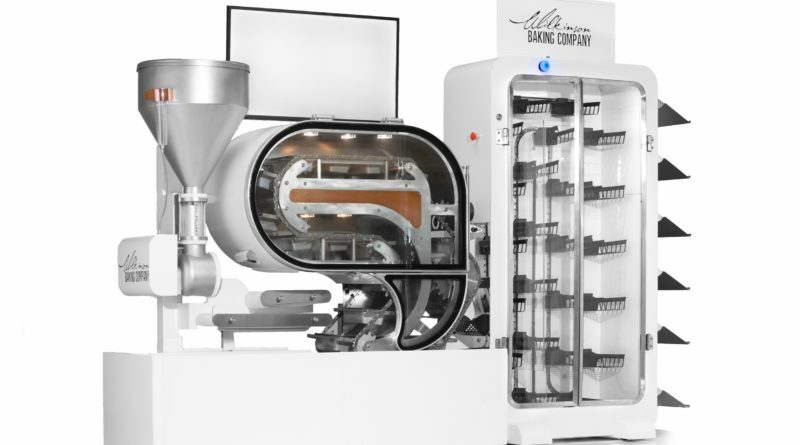 Once finished a robotic arm will load the fresh bread into a vending machine like compartment for customers to enjoy. The bot can supply up to 10 loafs every hour and is able to produce different types of bread including whole wheat, nine grain, honey oat, and rye. To help get a jump on things, the BreadBot can be programmed to start baking up to 3 hours before a store opens. It’s schedule can also be set for up to 3 months in advance so stores can prepare for busy seasons like the holidays. While it does the bread making on its own, it still needs some assistance from humans. Don’t worry though as the BreadBot will let everyone know when it needs some help. For instance, when the hopper is ready to be filled with more mix or bread needs to be emptied from the cooling cabinet it will send a message to employees. According to Wilkinson the human employees only have to spend on average about 40 minutes a day doing things like pouring mix and slicing bread. A touch screen allows employees to monitor things such as oven temperature, bakery status, the number of loaves made and the time until the next loaf exits the mixer. While the BreadBot is still a prototype, the machine was already tested in a few small grocery stores receiving high marks from customers. Wilkinson plans to launch a more complete version in April that will be tested in three major US grocery chains. The company claims that on-demand loaves are fresher than the preservative-filled bread found in grocery stores. Wilkinson is also looking into releasing a BunBot which can make other types of bread such as baguettes, subs, and hot dog buns. Check out our articles on robot dogs delivering packages and drones that patrol your property.